Home » This holiday season, we’ve got you covered. This holiday season, we’ve got you covered. Undecided about your Christmas shopping? Does your body ache after a holiday? With the upcoming festive season right around the corner, Christmas shopping can get stressful. 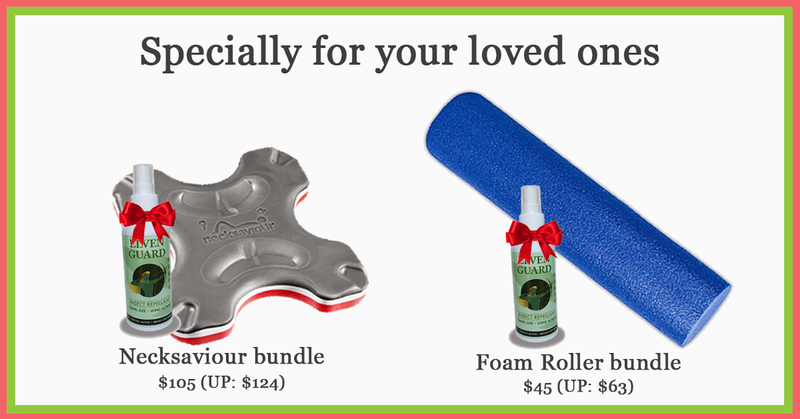 Check out our exclusive christmas bundles your loved ones are bound to enjoy! For those who are on the lookout for integrated body exercises – this is for you. The loaded lunge row works your posterior obliques sling muscle that is the powerhouse behind most unilateral movements – including the efficiency of body rotations while running. Do you return from a holiday only to feel you need another one to recuperate? Discover what these holiday pains are and how to avoid them. In this post, find out what are some of the largest culture shocks our physiotherapist, Sophie, who hails from Ireland experienced upon arriving on our sunny shoes. Wen Jie is a physiotherapist with Core Concepts Physiotherapy Group. In this post, find out what Wen Jie would change if given the chance.